Anil Kapoor fans were an unhappy lot when the starcast of Race 3 was officially announced. After all, the maverick actor was missing and it was surely sad news for many since he rocked in the first two parts of Race. As Robert D’Costa aka RD, he was funny, suave and got to mouth some great one-liners. But yesterday, Salman Khan made an announcement on Twitter that Anil Kapoor is now a part of Race 3. As expected, it was a pleasant surprise and immediately, the buzz for the film increased manifold. However, it seems that though Anil is a part of this slick franchise, he might not be playing the lovable and smart RD. Reports state that he will be playing leading actor Salman Khan’s father in the third instalment of the film! He will be playing the head of the family that Salman Khan is a part of. His character is integral to the plot. 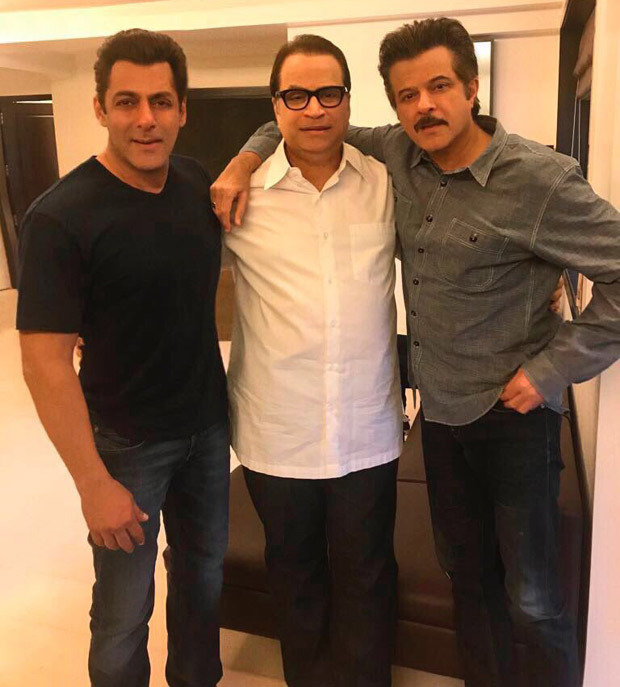 Surprisingly, while Salman Khan is 51, Anil Kapoor is 60 and hence just nine years elder to him. It would be hence interesting to see Anil playing father to the superstar. Reportedly, the actor had reservations over the age gap and his character. Salman Khan however persuaded him to take up the role and what’s more, he was also offered a handsome remuneration. As per the sources, the same role was also offered to Amitabh Bachchan. After mulling over it for a while, the senior actor had turned it down. Race 3 producer Ramesh Taurani was asked to comment on these reports. He however only said that Anil Kapoor plays the head of the family and his role is not what he played in the earlier parts of Race. There was no comment from him on whether he plays Salman Khan’s father. Race 3 also stars Jacqueline Fernandez, Daisy Shah, Saqib Saleem, Bobby Deol and Freddy Daruwala. It is directed by Remo D’Souza and it releases on Eid 2018. SCOOP: Sooraj Pancholi may be part of Race 3, but Anil Kapoor is not!